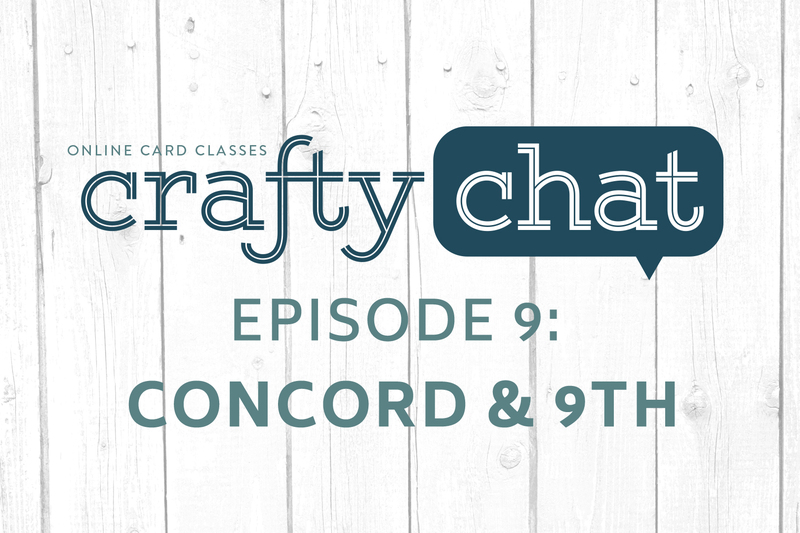 In today’s chat, we are speaking with Greg & Angie, the owners of Concord & 9th, about what it’s like to be a new stamp company, and entering the papercrafting community as a small business. This is the best! Greg and Angie are so amazing! They did take a day from their crazy busy schedule to have lunch with me and my husband. It was so much fun to meet these two and hear their story. I hope we’re friends forever. Thanks to Lydia, Jennifer, Kristina and Greg and Angie for posting this and taking the time to make chat! Concord & 9th is the best most innovative stamp company! I love you guys and your amazing products! Loved this! Greg and Angie are some seriously inspiring and talented people. So happy for their success! Love Concord & 9th products. These chats are GREAT!! Thank you so much! Wonderful story! Two quick comments– “You’ve Got Mail” is one of my favorite movies of all time! I could play the scene Kristina was describing in my mind as she spoke! I also love that you made the Concord & 9th episode the ninth episode :) (esp. after hearing about how their release day is the 9th of each month) Was that intentional?